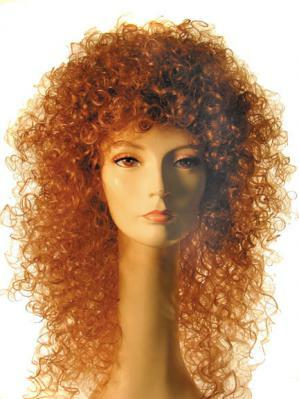 Become Maid Marian, Guinevere, or any other fairy tale female with this awesome costume wig. The Plabo costume wig is thirty inches long and features tight, thick curls from crown to tip. Even the bangs are really curly. It comes in seventeen colors including black, varying shades of brown, blonde, red, auburn, salt and pepper, gray and white. Just pin back your hair and slip on this wig for the ultimate in both curls and length great for any number of costumes. This is a Costume wig and therefore is not eligible for return or exchange. All Lacey products are shipped direct from Lacey's warehouse. Lacey cannot provide real-time inventory to its distributors so we cannot guarantee in-stock availability. Lacey reserves the right to substitute for an equal or greater quality item of similar style, should this item be out of stock. In order to expedite your order, this item may ship separately from other items via UPS ground at no additional charge. Express or Overnight shipping is NOT available for this item. International orders require additional processing time.